The 1911 census has four members of the Lumley family living at number 37 Sixth Avenue. Joseph Smith Lumley, aged 55 was born in Gateshead and was an industrial insurance agent. He married Margaret Rudd from Shiny Row in 1883 in Newcastle and the couple lived in Tanfield and Elswick, before moving to Heaton some time after 1901. The couple had three children, one of whom did not survive infancy. In 1911, their two unmarried children: a daughter, Rosanna, aged 23, working as a telegraphist, and a son William, aged 20, working as a clerk/book-keeper with an electrical manufacturer, lived with them. 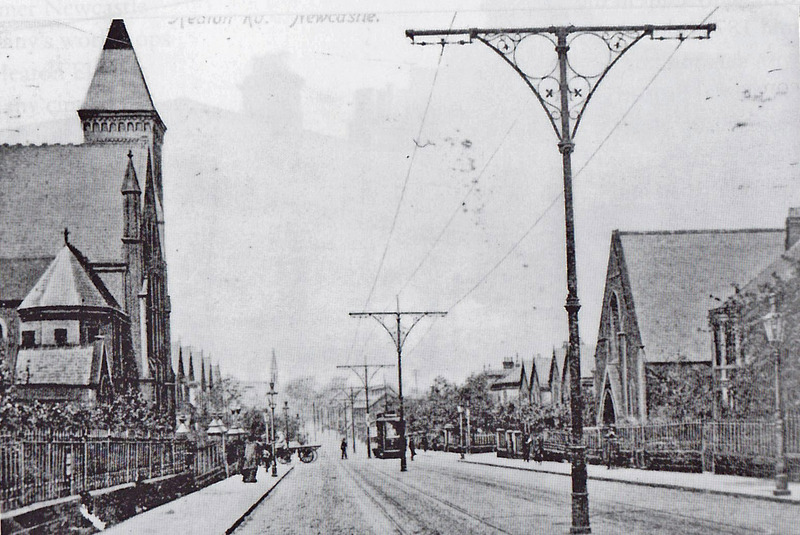 The family were Methodists and members of the congregation at the Bainbridge Memorial Wesleyan Methodist Church, which formerly stood on the site of Southfields House sheltered accommodation on the corner of Heaton Road and Tynemouth Road. Following their move to Heaton, William completed his education at Chillingham Road School. It is likely that Rosanna had already left school before the family relocated. At the start of the war, William, known to friends as Will, joined the 1st/6th Battalion of the Northumberland Fusiliers, which was a Territorial Force formed at St George’s Drill Hall Newcastle in August 1914 and stationed on Northumberland Road, opposite the City Hall. Along with the 1st/4th stationed at Hexham and the 1st/5th stationed in Walker, the Battalion were engaged in Tyne defences over the autumn and winter of 1914 and were mobilised for war in April 1915, landing in France to become part of the 149th Brigade of the 50th Division, which were engaged in action on the Western Front. Will’s army career was, like many others, tragically short lived as he died on 26th April 1915 aged 23 during the Battle of St Julien, part of the second Battle of Ypres. This was an important point in the war as it was the first time that the German Army had successfully used poison gas, to devastating effect, although they failed to fully exploit this as German troops had been re-deployed to the Eastern Front, leaving too few men to fill the gaps that opened in allied lines. Chlorine gas was first deployed in the Battle of Gravenstafel at around 5pm on 22 April near the hamlet of Gravenstafel in Belgium. German troops carried 5,730 gas cylinders weighing 90lb each to the front. These were then opened and lit by hand, relying on the prevailing wind to carry the gas towards allied trenches. The aerial photograph below shows the eerie spectacle. Yellow-green clouds drifted towards the Allied trenches. The gas had a distinctive smell, like pineapple and pepper. At first the French officers assumed that the German infantry were advancing behind a smoke screen and the troops were alerted. When the gas arrived at the Allied front trenches soldiers began to complain about pains in the chest and a burning sensation in their throats. 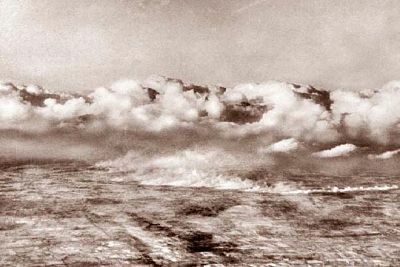 The French troops in the path of the gas cloud suffered 6,000 casualties, with many dying within 10 minutes and others being left blind or with permanent lung damage. Many more ran for their lives. A four mile gap opened up in the front, which the German troops advanced upon, but the effect of the gas on their own troops and the lack of men meant that advance was contained by Canadian troops. Dusk was falling when from the German trenches in front of the French line rose that strange green cloud of death. The light north-easterly breeze wafted it toward them, and in a moment death had them by the throat. One cannot blame them that they broke and fled. In the gathering dark of that awful night they fought with the terror, running blindly in the gas-cloud, and dropping with breasts heaving in agony and the slow poison of suffocation mantling their dark faces. Hundreds of them fell and died; others lay helpless, froth upon their agonized lips and their racked bodies powerfully sick, with tearing nausea at short intervals. They too would die later – a slow and lingering death of agony unspeakable. The whole air was tainted with the acrid smell of chlorine that caught at the back of men’s throats and filled their mouths with its metallic taste. The village of St Julien, where Will was posted, had been comfortably behind the Canadian defences until the poison gas attack of 22 April, when it became the front line. On the morning of 24 April the Germans released another cloud of chlorine, towards the re-formed Canadian line just west of St. Julien. Word was passed among the Canadian troops to urinate on their handkerchiefs and place these over their noses and mouths. The countermeasures were insufficient and German troops took the village. However, the use of urine soaked pads continued to be the only counter-measure against the gas until respirators were provided in July 1915. The ammonia in the urine partly neutralised the chlorine. 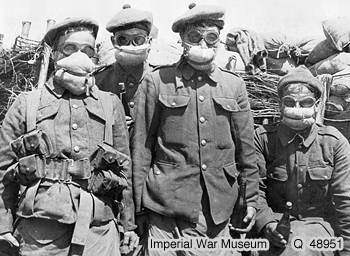 The picture shows British troops wearing the primitive protection. I have had a letter from my chum in which he states you are very anxious for any detail of poor Will of whose sad end you have received official intimation from the War Office, I understand. Being an office colleague of mine, we chummed in together out here and went into action together on that fated Monday afternoon, April 26. Unfortunately we were separated in the final rush, but another chum of his was near him when he fell. This is his story. When we were making the final attack on St Julien, he was wounded in the arm and, after having had it bound up hurriedly, insisted on going on. Had he been but that brave fellow he proved himself to be, he would have gone back to dressing station there and then, as nearly every man would have done. He insisted on going on however and shortly afterwards was killed outright by the bursting of a shell. He would be buried where he fell, either by the Seaforths or the Warwicks, who were in the trenches at the time and would send burial parties out after the affair. I have lost many chums in this ***** affair, but I have felt Will’s loss more than any, as he had been associated with me so closely. At any rate you have consolation, however small, that your son died a hero. Had he been any other, he would have probably been alive today. 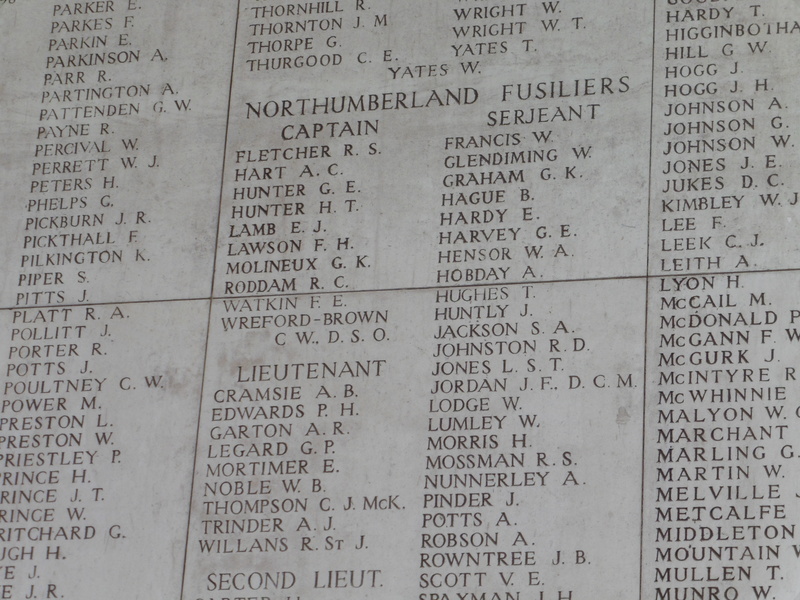 Will’s death is marked on plaques on the Menin Gate in Ypres, his body having been hastily buried and never recovered due to the retreat of the allied forces from St Julien. He is also remembered on war memorials in Chillingham Road School and in the former Bainbridge Memorial Methodist Church where stained glass windows were commissioned to commemorate the loss of members of the congregation. William was awarded three medals: The British War Medal; the Victory Medal; and the 1914-15 star. The three medals were almost always awarded together and were known as Pip (the 1914-15 Star), Squeak (the British War Medal) and Wilfred (the Victory Medal). Entries in the register of soldiers effects show that a War Gratuity of £6 and the sum of £2 7s 7d, cash in his possession when he died were paid to Will’s sister, Miss Rosanna Lumley, on 7 July 1919. On Wednesday 22 March 1916, Will’s bereaved mother, Margaret Lumley, is noted in ‘The Newcastle Daily Journal’ amongst a list of other donors as having donated a muffler, games, two pairs of socks, bedsocks, magazines and stationery to the Northumberland War Hospital on behalf of the North Heaton Branch of the British Women’s Temperance Association. In the Victorian period, alcohol consumption was massive. It was a way of life. Beer was cheaper than bread; spirits were deemed to have ‘medicinal’ benefits. It was one of the few pastimes that transcended the class structure. Nor was it just men who drank. To many, alcohol offered a temporary escape from their hard lives. Others thrived on the sensory pleasure it seemed to afford. However, it was the women who usually had to suffer and manage the consequences of excessive drinking by their menfolk. It was the women who struggled to keep enough money back from their husbands’ pay to feed the family before it was spent at the pub. It was they who had to shelter the children from aggressive drunken fathers, often taking a beating themselves in the process. And it was they who had to watch as sons grew up to regard beer as the staple drink. It was against this background that the temperance movement started to grow, almost inevitably led by men, until the BWTA came along. Margaret Bright Lucas was a member of a well known Quaker family and in 1872 joined the Independent Order of the Good Templars, rising by 1875 to the level of ‘grand worthy vice templar, the highest position afforded to a British woman. The IOGT afforded much greater equality for its women members, encouraging them to speak in public. Along with Margaret Parker from Dundee, she had visited America and been heavily influenced by the thinking of the US women’s temperance leader Eliza Stewart. On their return, they issued a call to arms, bringing together over 150 women from across the country to a meeting as part of a conference of the International Order of Good Templars in April 1876. 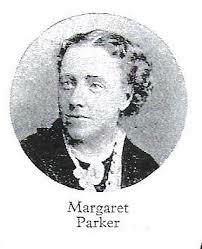 The British Women’s Temperance Association was born, with Margaret Parker becoming the first president. Margaret Bright Lucas took over the presidency in 1878 until her death in 1890 and oversaw a massive growth of the association. Many organisations with similar goals became affiliated to the movement and in 1884, an organising agent was appointed to add 100 additional branches. It produced its own journal and a non-alcoholic cookery Book. 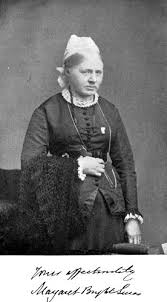 Margaret Bright Lucas also recognised that women’s voice for reform would be stronger if women had the vote and advocated means of influencing men to use their votes in support of women’s issues, thus tying temperance and women’s suffrage issues together very strongly. A tie that would ultimately in 1893 split the organisation into the National British Women’s Temperance Association, then led by Lady Henry Somerset, with a mandate for a full reforming agenda and the Women’s Total Abstinence Union, with a much narrower remit. The newly reformed NBWTA involved itself in a much wider social reform agenda, including child protection, suffrage and prison and court work. It is this organisation that Margaret Lumley would have been active in. The newspaper article identifies her address as the address for the North Heaton Branch of the association, so she must have played a leading role in the local organisation, possibly branch secretary, which was obviously big enough to warrant its own North Heaton branch. As a member, Margaret would have had to sign a membership pledge and would have worn the organisations white ribbon brooch. What is significant is what Margaret’s role as branch secretary tells us about the changing role of women in society at the time. The early leaders of the BWTA were very much from the upper class philanthropist mould. 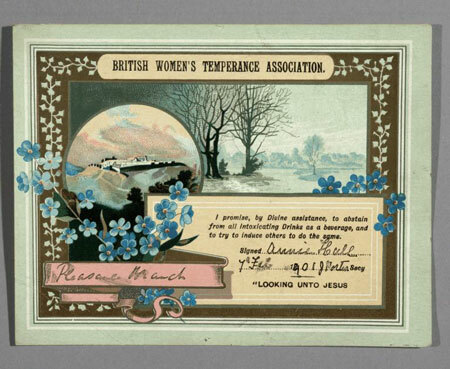 Ladies who could play no official role in the society of the day, but were able to use their status and connections to exert a growing influence on matters of concern to society, like temperance. But during World War One, Margaret Lumley a lower middle class wife and mother, was leading a local branch of a national organisation with some significant influence nationally. 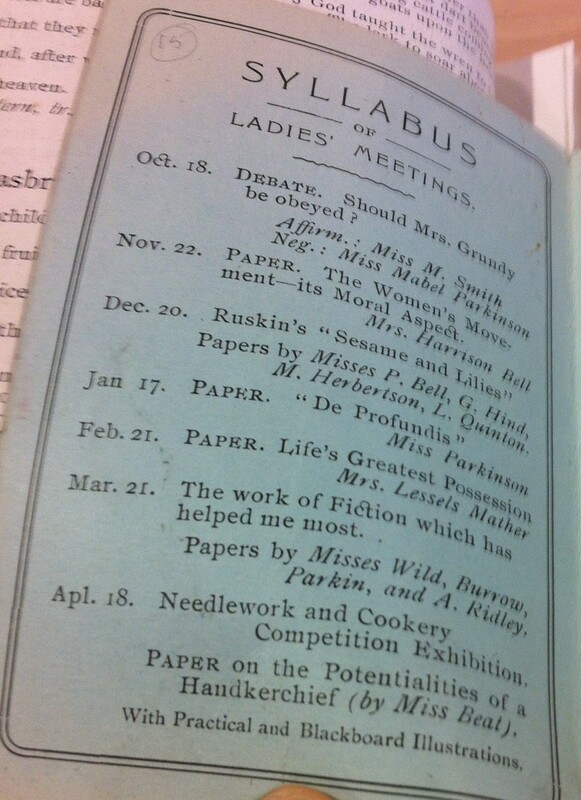 It is perhaps not a coincidence that the 1915-16 programme of the Ladies Literary Society at the Bainbridge Memorial Church, which the family attended, as well as having needlework and cookery competitions and considering a paper on the ‘potentialities of a handkerchief’ also held debates and had a talk from Mrs Florence Nightingale Harrison-Bell, a leading local figure in the women’s suffrage movement. An article in 14 August 1914’s edition of ‘The Newcastle Daily Journal’ reports that the BWTA was one of a number of local women’s organisations that had met with the Lord Mayor of Newcastle to discuss how they could help the war effort by organising women volunteers. The article notes that a committee had been established under the Lord Mayor’s direction, which would allow the various organisations to coordinate women volunteers to meet various needs as and when they were identified. The article goes on to note that the only immediate requirements were for women qualified to investigate cases of distress and help with sewing. It is possible that a continuation of this work that led to the donations to the Northumberland War Hospital noted in the original article. Nationally, the association funded reading, writing and refreshment rooms for the troops as well as funding the provision of mobile canteens to feed the troops at the front and the North Heaton branch would have been active in raising money for the national effort as well as supporting local initiatives. This entry was posted in Group Activites, Research and tagged Avenues, Bainbridge Memorial Chapel, Bainbridge Memorial Methodist Church, Bainbridge Memorial Wesleyan Methodist Church, Chillingham Road School, Cuthbert Bainbridge Memorial Methodist Chapel, Florence Nightingale Harrison-Bell, Heaton Road, Joseph Smith Lumley, Ladies Literary Society, Margaret Lumley, Rosanna Lumley, Sixth Avenue, suffragists, Tynemouth Road, William Lumley, WW1 on March 6, 2015 by oldheaton. Does anyone have a better photo of Cuthbert Bainbridge Methodist Church?